FULL for working teams- still taking two more on the waitlist. There will be 6 sessions over 3 days. Each session is a half day. Two Groups of ten people each. Groups are limited to just 8 teams. Work with Mia for half the day and Nancy the other half. Short fun jumping drills to work on your handling skills. $140. for Participants, $40 for Auditing. 10 dogs participating, unlimited auditing. Who Can Come: Dogs competing at any level who have little or no distance training or need a refresher course in basic distance skills. Dogs must be able to do jumps and tunnels and sequencing. What will be covered: Participants will work on three different skills to improve their dog’s ability to work away from them. Sending dog away in a straight line, the “Go” command. Creating or maintaining lateral distance, the “Out” command. Turning the dog away from the handler, the “Turn” or “Left/Right” directional commands. This is the info from 2017 in case you want to check out all the details. Yolo County Fairgrounds in Woodland, California. The Yolo County Fairgrounds is a beautiful location with extensive grass fields, shade trees, and RV hookups as well as nice tent camping locations. We are really excited to have our Camp for the fourth year in this lovely environment. Camp is three ++ days, Friday to Sunday. Thursday afternoon there is a 4:00 PM lecture by Lee Gibson and the rings will be open for practice as soon as they are set. All campers will receive a Magical Camp commemorative T-shirt and a Camp workbook with all the drills and course explanations and articles. Lunch all three days as well as our Saturday night dinner is included in the cost for full time campers and observers. The 3 day camp will host 6 instructors in 6 groups with 9 to 11 handlers in each group. Each group will work with each of the instructors. Campers will spend a portion of each day with an instructor. Every handler will work with each instructor. Camp Registration will remain open until camp is full and we have a waiting list of 15 campers. Observers are unlimited. Camp workers are by Camp Manager’s invitation only. You may register for one or more days of observing. If you are working a dog you will be registering for all three days. You cannot sign up for individual days as a participating camper. You may opt to pay a $100 non-refundable deposit to hold your spot when you register. Final camp payment is due on August 1, 2017. One month prior to camp you will be asked to complete a questionnaire about the primary dog you will work at camp. You must have a dog that fulfills the Camper prerequisites by the time of camp. All dogs must have a novice standard title in AKC or USDAA or CPE (equivalency in CPE is Class 2 minimum). This camp will have groups at Novice++/Open, Excellent, and Masters level. If camp does not fill by August 1 we will open up camp to dogs without titles. No aggression by any dog towards humans or dogs will be tolerated at Camp. Please do not apply if you cannot guarantee your dog’s good behavior. Any dog showing aggression during Camp will not be allowed to continue to participate in Camp exercises. Please do not bring extra family dogs with you to Camp if you cannot also guarantee their good behavior around the rings and on the equipment, even after hours. No refunds will be given if your dog is not allowed to participate. Contact Nancy Gyes with any questions. Based on the information that you gave us about your primary dog on the online update form, or the groups that you formed yourselves before camp, you have been assigned to a working group. You may not switch working groups for any reason. It is virtually impossible to create the groups without mixing dogs of different heights. To ensure that everyone in your group gets the most work possible, please jump in when it’s time to switch jump heights and help reset the bars. If you want to be in the same group with one or more friends you will be able to give us that information on the Dog Update form. All friends must name each other. The friends will be placed in a group based upon the titling level of the LOWEST dog in the group. If your friend has a novice dog and you have a masters dog, I would not suggest you ask to be in the same group together unless for special circumstances you feel that your dogs are at almost the same level. Please write to Nancy for advice or to explain why the dogs should be placed in a higher level group. Campers may form their own groups. If you intend to do so you should send a message to Nancy to discuss a group signup. If you are working a dog, your camp ID badge shows the name of your working group. Please keep your name badge visible during all sessions so that instructors can address you. Your camp fee entitles you to one turn per group exercise or course run-through. REMEMBER: It is a camp entry requirement that your primary dog be your lower-level dog. IF you choose to alternate your turns in a session with your higher level dog, you are welcome to do so. IF you have chosen your higher-level dog as your primary dog at camp, you may not work your lower-level dog in any working session. There will be ample time to work your other dogs during off hours. During these times you may work younger dogs and dogs that were not eligible for camp registration. Help your instructors end their sessions on time so that everyone has time to potty their dogs and get to lunch on time. Also please respect the instructor’s “down time” during breaks so that they have a chance to get drinks and snacks and care for their own dogs. The staff is not available for private lessons during camp. Observers may observe anywhere in Camp anytime they want. Observers are welcome under the ringside canopies. Observers are encouraged to leave their dogs at their RV or setup during Camp hours. If you need or wish to keep your polite and quiet dog with you, please carry your own umbrella ringside. Observers may not work dogs during any Camp hours. Camp hours are when regular scheduled classes are being held. Observers may use any open ring before Camp, during lunch, and after Camp. Full time 3 day observers will receive a camp workbook, a T-shirt as well as lunches all three days and Saturday night dinner. One or two day observers will receive a camp workbook and lunch and will have the option to purchase the Saturday night dinner as well as the Camp T-shirt. A spouse or partner that does not guide you in your agility career, or teach, train and/or compete in agility and will be with you at camp to hang out or video tape you in your sessions still needs to fill out an observer form and a Release of Liability but there is no charge for observing. It is possibly to purchase meals and a camp shirt for your partner ahead of time. Please send a note to Nancy to make these arrangements. 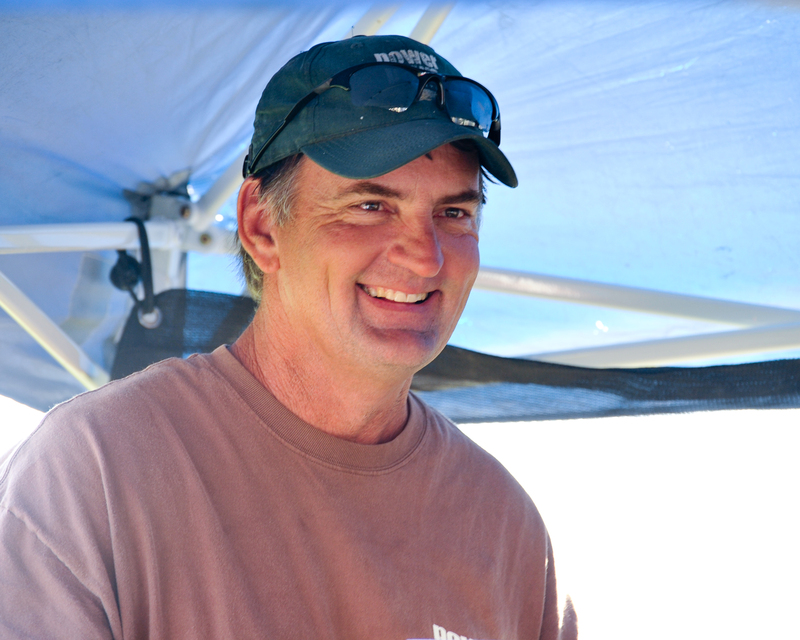 Observing at camp is free to the first 10 volunteers to sign up to help as a “worker”. You need to be at camp on Thursday at noon to help setup and stay until the camp equipment is packed up. There are no equipment changes during camp but we do need help with hospitality, running errands, setting up lunches and breaking down camp for up to 90 minutes on Sunday after camp is finished. Please send a message to Camp Manager Susan Cochran if you would like to be considered for a working observer position: greatdogsagility@gmail.com. After you are approved by Susan you will come back to the Camp registration page and register as an Observer. You are welcome to videotape your dog’s runs or your friend’s runs during camp exercises. However, you may not video or audio tape entire lectures, workshops, or training sessions. If a video is posted online of you working your dog the sound must be turned off when the instructor is addressing you. No instruction or comments by the instructors may be posted online. During the evening and/or lunch, instructors may occasionally close a ring to work their dogs. You are welcome to observe, but please respect their time with their dogs. Cars are allowed to park on the grounds by your setup. NO MOVING OF CARS DURING CAMP HOURS to insure dog safety!! If you need to leave the grounds during camp hours please do not park inside the grounds. Please drive slowly and carefully at ALL TIMES. In October/November the average temperature is 70 and the average low is 45. It is strongly advised that campers bring personal umbrellas to take with them to the rings for extra shade protection. Canopies will be provided at ringside for observers and participants while attending sessions. There are many areas to setup your canopies. you may not setup in an RV parking spot or use the hookups in your day setup. Please, please, clean up your poop and any you happen to see, even if it is not your own! Good campers do not care, they pickup any and all poop so that we all look good and get to comeback again next year! There are garbage cans and posts with clean-up bags located around the facility for your convenience. In and around the training areas, dogs must be on leash for their safety and the safety of others when not working. Not all dogs like to be bothered and they’ll fight with strange dogs that approach them. As the owner of an off-leash dog, YOU are responsible for any conflict that arises. Dogs with aggression issues must not be allowed off leash anywhere on the grounds. Call 911 immediately if it is a serious medical emergency. Minor medical supplies (band-aids, ice packs, etc.) are available in the first aid kit which will be kept in the Camp office. If you are going to the hospital for any reason, please let the camp manager know as soon as possible. Brought to you as a courtesy service, no recommendations. Dogs in season are allowed to work at camp but must wear britches at all times during the camp working session. This year you have an option of paying a $100 deposit to hold your spot in camp. Your registration will not be considered complete until we receive the printed registration form and Release of Liability with your deposit. Full balance is due on or before August 1, 2017. Canceling 60 to 30 days prior to camp is a $150 cancellation charge. Less than 30 days prior to camp the cancellation fees are 1/2 the registration. Canceling one week or less prior to camp forfeits camp fees unless your spot can be filled. We will make every effort to maintain a waitlist so that last minute cancellations are filled but we make no promises to that end. Problems and questions that arise during camp should be directed to our camp manager. Questions before camp should be directed to nancy@powerpawsagility.com. If the manager isn’t in the Camp office, a worker will know how to find them. Everything you wanted to know about Power Paws Camp ….but your mother did not tell you! Canopy – create your ‘home-away-from-home’, while gaining protection from the sun and rain. Tip: Get one that is compact enough that you can haul and set it up by yourself. This just makes life much more manageable. Available at Home Depot, OSH and other fine stores near you. Consider buying shade cloths as well to drape from the sides of your canopy for additional protection from the elements. Stakes and a mallet are also a good bet to keep winds from blowing your new home away. Don’t forget a MAT to keeps things clean and dry. X-Pen/Crate – containment = peace of mind for you and hopefully a more relaxing place for your pet. Tip: If your dog gets easily excited, try covering your x-pen or crate. Specially made covers are available, or just create one on your own with a shade cloth/bed sheet etc. Remember about ventilation. Water – bring enough for both you and your dog. Tip: There will be water available out of hoses to refill your dog’s water container, but some dogs are sensitive to the water from new regions; bring an ample supply of water from home or purchase bottled water. Training Bag – bring your training bag, just so you’re sure you have everything. Tip: Make sure that it includes the following…(1) a slip lead to easily run your dog ‘naked’ in the ring, (2) a variety of treats and toys, including extra special ones that will be ample reward with all of the distractions he will be facing, (3) doggy (and people) first aid kit, (4) poop bags (need we say more). Chair – a light folding lawn chair (preferably with a bag that you can swing over your shoulder. Treats/Toys – (for your dog, and OK, for you too; especially snacks for late morning/afternoon pick-me-ups). Swap Meet – as the saying goes, ‘variety is the spice of live’. Keep your dog’s spirits uplifted by swapping toys and treats with your fellow campers. Soft Crate – A soft crate, however ‘soft’ can get heavy, but remember your dog may very much appreciate this safe comfy place to be, and be less stressed and more energetic because of it. If you have a heavy crate, or lots of “stuff” bring wheels with you to move ring to ring. ALL campers in the working sessions are asked to bring a crate with them to each ring to confine their dog when they are not working. Note Pad and Pen – You will receive a copy of the exercise setups, but you may not want to take notes in your workbook. Bring a clipboard or something to write on so you can keep track of all the new material you are learning. Bathrooms –There are two permanent bathrooms and showers located on the property. Personal Space -This applies to both dogs and people. While dogs who have ‘special needs’ may be clearly marked with a red bandana, humans who have such needs come in a variety of packages and will not necessarily be as easily marked (although this depends on the human). Remember to take things in stride and to give others and yourself enough space to ‘be’. Tip: If your dog has a pink nose or skin showing around that area, he may burn easily in the sun. Applying sun screen for humans works fine, but it is heard from the veterinary grapevine that using one that is specifically made for faces works best as it is hypoallergenic and likely to be more sensitive to the dog’s delicate skin in that region. Bring (1) directions to the site, (2) directions to hotel, (3) badge & schedule, (4) directions to Starbucks for morning coffee and breakfast snacks. If you have a question that is not listed in the Camp information provided, do not hesitate to ask the Camp Manager or volunteers for help. You need to be present at the event in mind, body and soul. Get plenty of rest the night before. Arrive a bit early each day so as not to have last minute navigational distress. Relax. Breath deep. Set an attainable goal of taking at least one key point of value away from each instructor that you see (knowing that problems won’t be solved overnight). Remember that you are in this to have fun, bond with your dog, and make yourself a better trainer. To register for camp you have two options: register as a handler (working spot) or register as an observer. Please click on the link below that corresponds to your preference, and follow the instructions for completing registration. Within 10 days of completing online registration, please submit these documents to Power Paws Agility, 10711 Crothers Road, San Jose, CA, USA, 95127. Camp Registration will remain open until camp is full and we have a waiting list of 15 campers. Observers are unlimited. There are RV hookups at the site, as well as an option for van or tent camping (without plugins). Camp layout map coming soon. Dog fees for lodging are included here but we make no guarantee that these will not change before you reserve your accommodations or that they will still accept dogs in the rooms. Please check with the hotel for current fees. Holiday Inn Express – Pets $20/night. Only 10 rooms are set aside for dogs. There are RV hookups at the site. Click here for RV or Van camping with plugins. Click here for Van or Tent camping (without plugins). General Check-in and arrival begins at 3 PM Thursday unless you are helping with setup. We need to set all the rings and it is lots of fun to meet other campers and workers and help us set the courses. If you are helping with setup you may arrive any time after 12: Noon to choose your crating/parking area. There will be a Lecture and Camp Open House at 4 PM Thursday. Lecture presenter is Lee Gibson. Please do not arrive on the grounds before 3 PM unless you are helping with setup. ***Saturday night dinner at 6:00 PM. We ask for a few minutes of everyone’s time at the end of camp to clear the field. Read about Nancy in her bio. Read about Jim in his bio. 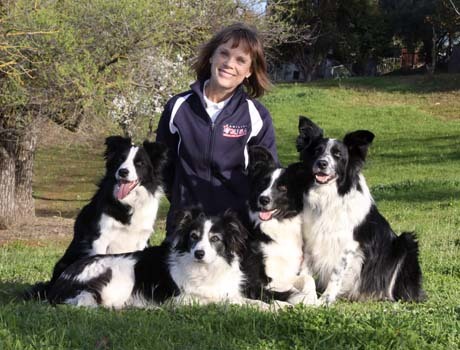 Mia Grant has worked with dogs her entire life and discovered agility in 2000. She has been teaching agility for over 10 years and has had the pleasure of helping a diverse variety of dogs and people. 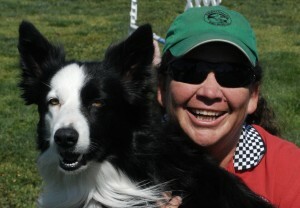 Mia and her border collie, Vic won silver medals in the Biathlon and Team events at the 2012 IFCS World Championships. Mia has been in 12 National Finals over her career with her amazing teammates Max, Finn, Starlet and Vic, including a Performance Grand Prix win with Finn in 2008 and a 3rd place in Grand Prix with Vic in 2011. She and her teammates have been ranked in the Top 10 fourteen times (with 3 different dogs) and all her dogs are in the USDAA Hall of Fame. Mia feels the fun of the sport is the most important thing for both the dog and the handler. Desiree started her Dog Training and Dog Agility career in Long Beach, CA. in 2002. She is currently the Master Agility Instructor/Coach for the It’s a Dog’s World Training and Agility Center (IADW) in Sumner, Washington. She has her Teaching and Coaching Credentials from the Norwegian School of Sport Sciences. She also has her Athletic Training and Sports Medicine degree from San Diego State University. Most recently, Pace took 3rd. place in the 26” class at the 2014 AKC National Agility Championship. Two weeks prior, he took 1st. 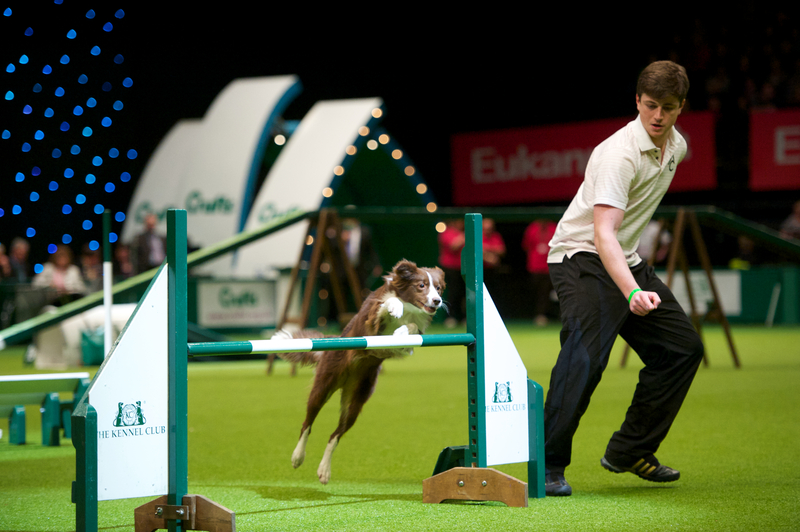 place at CRUFTS in the British Open Jumpers, Large Dog category. In October 2013, Pace earned a win-on spot (highest number of Team Selection Points in the 26″ class) from the USDAA Cynosport World Games to be a representative of Team USA in the 2014 IFCS World Agility Championships in The Netherlands. 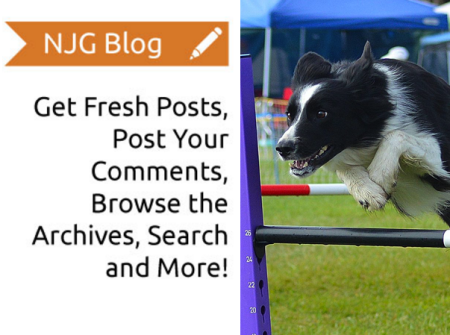 In the same event, he also became the USDAA Dog Agility Steeplechase National Champion in the 26″ class. (Repeat from 2011). In addition, he earned a third place in the USDAA Biathlon. 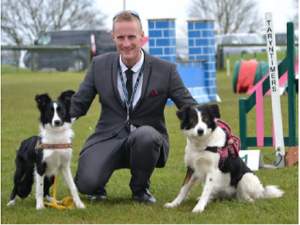 In August, Pace attended the 2013 International Agility Festival in Rockingham Palace, UK, where he earned an invitation to compete at the prestigious CRUFTS event in 2014, after placing 2nd. (Runner Up), in the KC British Open out of 440 large dogs. Also, in 2013 Pace became the AKC National Agility Champion in the 26 inch division. He took 1st. place in 5 out of 6 runs. (Time 2 Beat, Jumpers, Hybrid, Challenger Round and the Finals). He was selected to represent the AKC/USA in the 2013 European Open, held in Belgium. Pace attended his first International agility competition when he travelled to Sweden for the 2012 European Open. While there, he also competed in a local trial and became a Swedish Agility Champion in the large dog class, both in Standard and Jumpers. In the 2011 USDAA Cynosport World Games, Pace, at 2.5 years old, became the Dog Agility Steeplechase National Champion in the 26″ class. International Agility judge, competitor and trainer. Lee travels all over the world judging and training. One of his standout judging appointments was Crufts 2015. I have been competing in agility since I was 12 years old.. 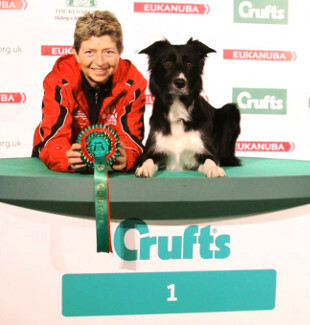 Watching Crufts on TV was my inspiration and now 20 years on I’m lucky enough to have judged and taught all over the world and competed at all the major agility finals. I handle my dogs simply & efficiently. I feel that with my judging experience I am particularly good at course analysis and choosing routes / handling choices to suit individuals and their dogs. During my seminars I never adopt a “one size fits all” approach. There are many different styles and handling systems out there. I will always advise my opinion and what i myself would do with my dog, along with the reasons behind that, however I am looking to work with and develop the handlers (and dogs) skills rather than completely change what they are doing. I have a great focus on teaching dog skills, and identifying handling solutions, as well as dog skills that need developing. I’m very much looking forward to camp, and meeting the handlers and their dogs. I am sure we will get some great work done in the training sessions, and we will have a lot of fun along the way! Competed at Olympia, Crufts over 15 separate years 15 years, won major finals and CC’s, currently running BC at G7 level. International – WAO Silver Medal Pentathlon 2016 overall. Current GB Squad member & WAO England team member. UK – Judged for 16 years. Olympia 2016, Crufts 2015 & 2008, CC Judge – judged all major finals in UK. International FCI – Germany, Denmark, Sweden, Finland, Norway, Estonia, Japan, South Africa, Spain, Italy, Czech Rep, Ireland, Singapore (UKI), Poland. Laura discovered dog agility in 2002 after getting her first border collie, Jazz. She is a Bay Area Instructor that everyone loves and a successful competitor that sets the bar for all of us who watch her. -Began teaching 11 years ago for Jump N Java where she says she developed a love for helping people get the most out of their dogs. 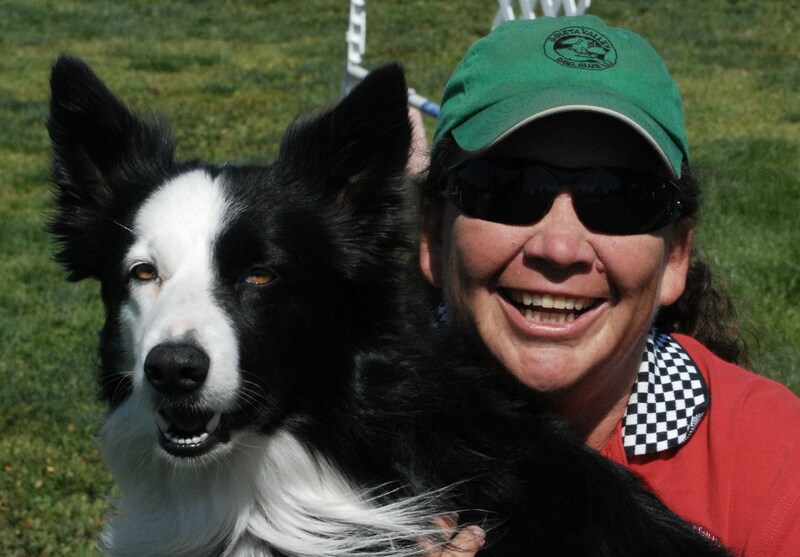 She branched out on her own and 5 years ago opened Morgan Hill Dog Sports with her good friend, Vici Whisner. At MHDS the focus is on how to best motivate and encourage each individual and their dogs. DareDevil ADCH: 2016 USDAA Steeplechase Finalist at his first Nationals. Just made the 2018 IFCS World Team at 3years old!